The phenomenon of measles infection spread by MMR (live measles-mumps-rubella vaccine) has been known for decades. In fact, 20 years ago, scientists working at the CDC’s National Center for Infectious Diseases, funded by the WHO and the National Vaccine Program, discovered something truly disturbing about the MMR vaccine: it leads to detectable measles infection in the vast majority of those who receive it. The latest measles outbreak at Disney is a perfect example of where PCR testing could be used to ascertain the true origins of the outbreak. 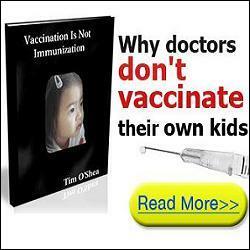 The a priori assumption that the non-vaccinated are carriers and transmitters of a disease the vaccinated are immune to has not been scientifically validated. Since vaccine strain measles has almost entirely supplanted wild-type, communally acquired measles, it is statistically unlikely that PCR tests will reveal the media’s hysterical storyline — “non-vaxxers brought back an eradicated disease!” — to be true. Until such studies are performed and exposed, we will never know for certain. Has there been any laboratory confirmation of even one case of the supposed measles related to Disneyland? If yes, was the confirmed case tested to determine whether it was wild-type measles or vaccine-strain measles? If not, why not? These are important questions to ask. Is it measles or not? If yes, what kind, because if it’s vaccine-strain measles, then that means it is the vaccinated who are contagious and spreading measles resulting in what the media likes to label “outbreaks” to create panic (a panic more appropriately triggered by our 25 year history of epidemic autism). It would be what one might call vaccine fallout. People who receive live-virus vaccines, such as the MMR, can then shed that live virus, for up to many weeks and can infect others. Other live-virus vaccines include the nasal flu vaccine, shingles vaccine, rotavirus vaccine, chicken pox vaccine, and yellow fever vaccine. 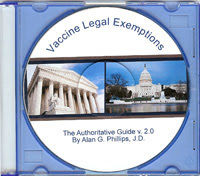 Be the first to comment on "The Vaccinated Spreading Measles: WHO, Merck, CDC Documents Confirm"